I wonder if there isn’t some way for Affordance Theory to connect to the other paradigms. Interestingly it was looking up ‘affordances’ that lead me to this website and Affordance Theory and it really interests me too. It is certainly relevant for creativity in Art & Design. 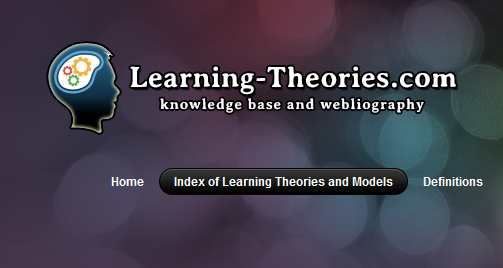 I am reading Williams et al (2011) Emergent Learning and Learning Ecologies in Web 2.0 in IRRODL It is brilliant but taking me days to wade through but does seem to offer a view on the connections you mention so I would be interested in your thoughts. I hope the link appears OK in this reply – I am having some problems knowing what my blog is doing. Thanks for your link I will take a look. Just had a quick scan and grabbed the epub. (Thank you Open Access–only medical jounrals through work.) Emergent learning is something I need to read up on.